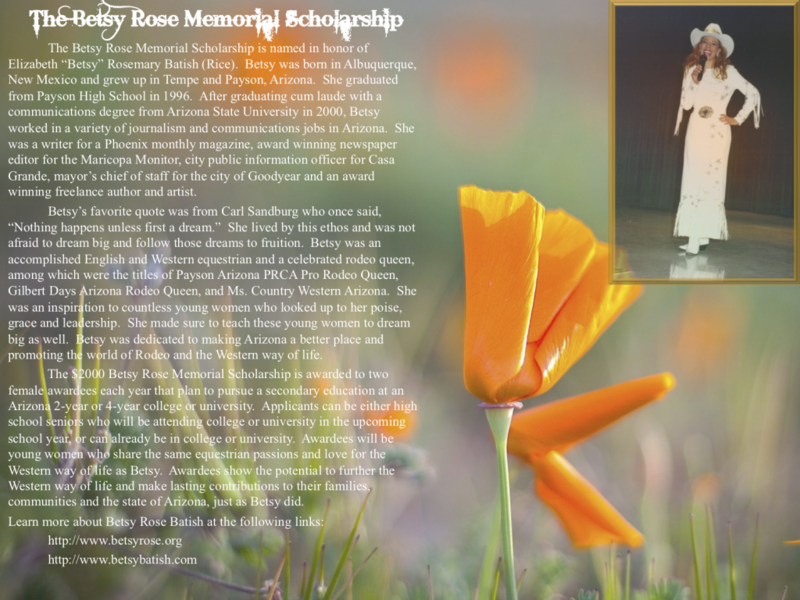 Two $2,000 scholarships will be awarded to deserving young women who will be attending an Arizona 2-year or 4-year college or university in the upcoming school year. Winners will have a passion for equestrian activities and exemplify the Western way of life just as Betsy Rose did in her lifetime. Deadline to apply for scholarships is 4/20/2019.